Sunny warm days are made for colorful mixed prints. 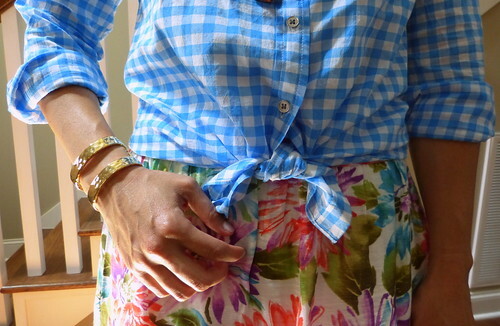 And as most of you are aware, I pretty much treat (any) gingham like a neutral, so this was a bit of a casual, fun, no-brainer outfit for me to put together. 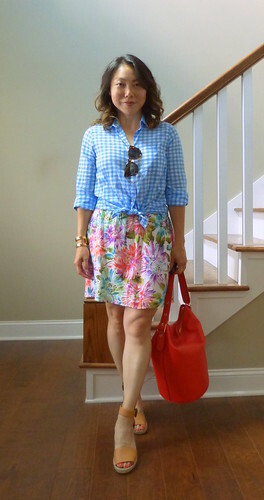 Add on some go-with-everything neutral espadrilles and I can make different iterations of this outfit all month long. 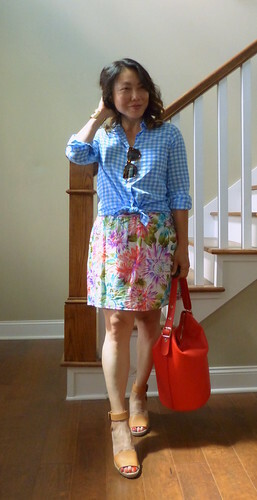 Such a fun print mix, I love how colorful this is! Awwww...you look amazing! 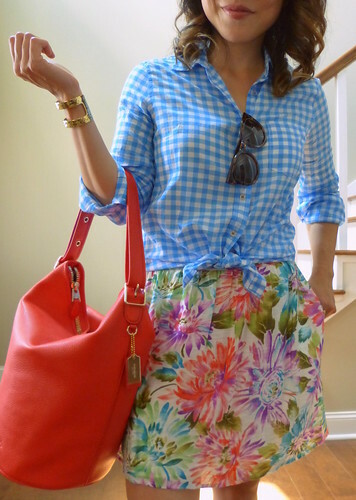 Love that skirt, colorful and trendy. Great choice!